CHICAGO-Can it be that the circus Side Show silently faded from the scene, that the traditional exhibition of freaks wonders and curiosities disappeared while public attention was diverted to the plight of big tops? Three circuses came out in the spring with traditional Side Shows that feature human attractions. They were Ringing Bros. and Barnum & Bailey Circus, King Bros.' Circus and Clyde Beatty Circus. By coincidence, these were the shows that closed early. While nearly everyone was bemoaning what they thought to be the "passing of an era, the end of the big top." 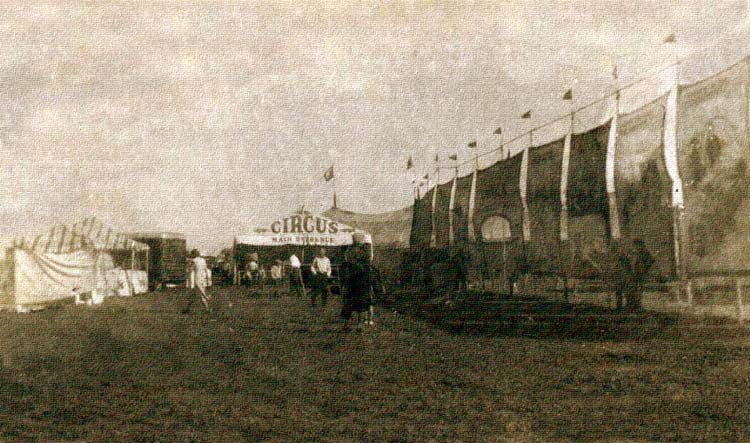 there were a lot of other circuses operating at full tilt under canvas. The Side Shows were what really seemed to disappear. The shows that continued under canvas as usual and profitably-about 20 in all-did have midway attractions, banner lines and other elements of a Side Show. But the features generally were animals. What they had was a menagerie in the trappings of a Side Show. This is the set-up used by Hunt Bros. Kelly Miller almost always has operated on the idea of displaying animals in the Side Show. Cristiani Bros.' Circus had the Tony Diano animals as its Side Show. Mills Bros, Side Show is made up of elephants and other animals. Von, Benson, Hagen Cole, Ring, Carson and all the rest had animals in the Side Show tops and sometimes pit shows and walk-thrus with other animal and reptile attractions. The best guess is that the Side Show got into this precarious position not thru any particular fault of its own, altho no department of a circus has been so abused over the years as the Side Show. These unique locations of odd entertainment were doing okay financially when last heard from. How much business a Side Show does is something that depends much on geography. Circus Side Show do well in the East; the Ringling "kid show" generally did best at Philadelphia, with Baltimore and similar stands also showing up well. The Side Show topped $70,000 at Philadelphia to set a record, and its profit on a season was often well into six figures. It was pretty much by default that Side Shows were virtually absent form the American circus scene in the second half of 1956. And what of the future? If Ringling-Barnum stays indoors, it isn't likely that they will have a Side Show. There is a fair chance that next year's Clyde Beatty Circus will have a Side Show with human oddities, plus a traditional menagerie. Hagen Bros.' Circus also has said it will have some changes in this department. But eve at best it now seems likely that most circuses will be showing animals where once the fat lady, thin man, fire eater, tattooed man, bearded lady and their cohorts were to be seen.